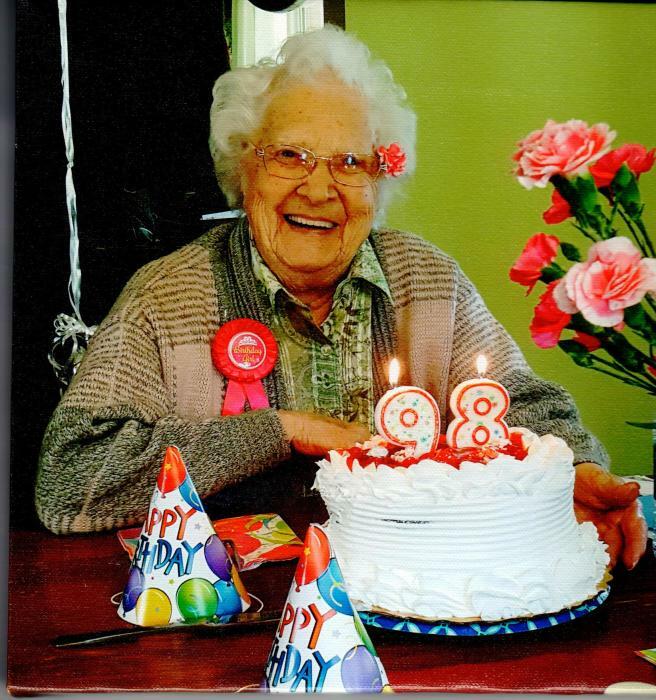 Dorothy Anna Hefner, 98, of Wills Point went to be with her Lord and Savior on Thursday, January 24, 2019 at her residence. Funeral Services will be held at 11:00 A.M. on Monday, January 28, 2019 at the First United Methodist Church in Quinlan with Pastor Mark Moore officiating. Interment will be immediately following at Highland Memorial in Terrell. Visitation will be held from 3:00 – 5:00 P.M. on Sunday, January 27, 2019 at Ingram Funeral Home in Quinlan. Born to Anna G.(Mack) Graf and Alfred A. Graf on April 6, 1920 in Ann Arbor, Michigan. She attended a one room country school thru the first 8 grades graduating from high school in Ann Arbor Michigan. She married Arthur K. Van Hoosear in 1940 in Ann Arbor, Michigan and three children came from this union. In 1964 she married Raymond E. Hefner in Lubbock, Texas living there until retiring in 1974 where they moved to Mason, Texas, then to Lake Buchanan. After her husband’s death in 1994 she moved to Greenville then in 1999 to West Tawakoni. After giving up her home in 2008 she moved to Wills Point to the home of her granddaughter Vicki Roundtree and husband Joe. After raising her children she worked as payroll clerk at Texas Tech College, later as secretary at Lubbock National Bank. Her hobbies were sewing, crafts, traveling, oil painting, family and friends. In addition to her parents she was preceded in death by husband Raymond E. Hefner in 1992; brothers Alfred E. Graf & James A. Graf; sister, Edna Carr; 2 son-in-laws, Lou Sklaroff & Roger Hudack; a niece & nephew. She is loved and will be missed by son, Arthur & wife Sue Van Hoosear of Brighton, Michigan; daughters, Lois Hudack of West Tawakoni and Suzanne Sklaroff of Fruitvale, Texas. ; sister, Jeannette Brandell of Saskatoon Sask, Canada; six granddaughters, six grandsons, 27 great grandchildren and 24 great great grandchildren, and several nieces,nephews and friends. Family request that any memorials be sent to St. Jude's Hospital.